It is inevitable. We will all die someday. And however grim this may sound, it is the truth. So what can we do to ensure this process is as painless as possible? Well, from a financial point of view, we can make sure our loved ones are left in a good financial position when we pass on, and that they will not need to worry about making ends meet. This takes some planning. Luckily there are resources and experts that can help you with just this side of things. Financial planners are trained to give you the best advice when it comes to what you need to leave behind. Of course, you will need to have something to leave behind first – and that’s something you need to work on while you are still alive. But should you have quite a lot of assets to pass on, you will need to enter the field of estate planning. If not, a Will should do just perfectly. Get the paperwork around your will in order! Whatever you do, make sure you have this paperwork in order – as it can become quite a mess if you die without any kind of Will or last testament. If you have children, remember that – without a will – all your assets will go into what is called the Guardian Fund, and it will be very difficult for your children to get what is owed to them from there, without a lot of red tape. If you have a Will, it will be much simpler, and the Will would state whether you leave a trust behind for them, or something similar which will ensure they are taken care of when you are no longer there. You can also decide whether your things (house/s, car/s etc.) are to be sold, and that the money derived from the sale be left to someone, or split between beneficiaries. Or you could leave these assets to certain people to do with as they wish (i.e. they could decide to keep or sell these valuables). If you own land, it is sometimes tricky to split it up between beneficiaries, as one party might want to sell their portion, while the others want to keep it in the family. Some people leave very strict instructions in their Will, which isn’t always fair on the beneficiaries. Something such as: once my son is married he will inherit my estate. This could place the son under unnecessary pressure – but if it’s in the Will, it needs to be honoured in order for the son to actually inherit the estate. Some people leave each and every belonging they own to specific people, creating quite a long list of things to be dealt out, while others donate everything to charity. There have even been instances where millionaires have left all they own to their favourite pet. This is obviously a bit extreme, but completely feasible. In the end, you decide what to leave to whom, how they can obtain it and who will preside over the proceedings. The person ‘in charge’ of it all is called the executor and he or she is the one who will read out the terms of the Will, as well as ensure that the last wishes of the bereaved are fulfilled. You can choose to have your Will stored in safekeeping by a bank or other organisation, keep it in a safety deposit box or leave it with a loved one or trusted person. Whatever you choose, you need to ensure that someone knows where it is – should you pass away. Parents usually tell their children where to find their paperwork, and a lot of people leave their documentation with their bank. You can even choose to have someone from your bank be your executor. This keeps the whole process professional and doesn’t lead to any conflicts of interest. A conflict of interest would be if the executor is also a beneficiary, casting some doubt on the process. 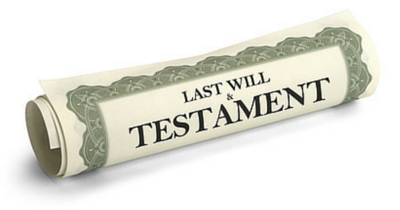 There are many things you need to know about setting up your Will, last testament or estate. It’s always best to get professional help to ensure you do it right. But whatever you decide to do, make sure your things are in order – as you never know what might happen next.